Ontario’s Ministry of Education has cancelled a project to update provincial curriculum documents with Indigenous content. Curriculum-writing sessions that were set to begin on Monday were halted at the last minute, according to multiple Indigenous educators who expected to be involved in the work. One of the sessions involved revising curriculum in response to Canada’s Truth and Reconciliation Commission (TRC). 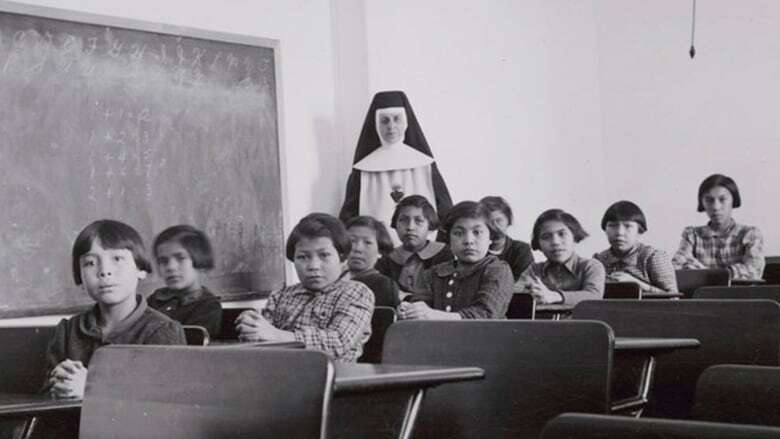 The previous government of Kathleen Wynne committed in 2016 to update course content at the elementary and secondary levels — including social studies, history, geography and civics — to teach all students about the legacy of residential schools. Indigenous educators and elders were to travel to Toronto to participate in the curriculum revision project over the next two weeks, but team members received emails on Friday afternoon telling them the plan was cancelled. Although the new government of Premier Doug Ford says it did not order the cancellation, a statement from Education Minister Lisa Thompson suggests the move was made by the bureaucracy to cut costs. “In keeping with the commitment Premier Doug Ford made to run government more efficiently, all ministries will seek to carry out initiatives in the most cost-effective way possible,” said a statement issued Monday by Thompson’s office. The statement confirms the ministry cancelled three curriculum writing sessions, including those on: TRC curriculum revisions, American Sign Language, and Indigenous languages in kindergarten. Thompson’s statement did not address a question from CBC News about what cost savings the cancellation generated. The ministry “will continue to move ahead with” the curriculum revisions related to the TRC, said Thompson, but did not indicate when that would happen. “The ministry will work with experts, elders and Indigenous communities to develop the support materials for the updated curriculum,” she said. The move is “a damaging step backwards on the road to reconciliation,” said a representative from the Ontario NDP, now the Official Opposition party. “The curriculum in Ontario’s public schools is outdated, and we simply have to do better for our children,” said Peggy Sattler, the MPP for London West who was re-elected in the June election. “I’m extremely disappointed,” said Shy-Anne Bartlett, an Ojibway language expert who had travelled from Nipigon to Toronto for the curriculum writing project. The president of the Ontario Secondary School Teachers’ Federation, Harvey Bischof, also expressed disappointment in the move. “It sends a terrible to message to cancel at short notice this consultation in curriculum writing,” said Bischof on Monday in a phone interview. This entry was posted on Monday, July 9th, 2018 at 12:00 pm and is filed under Education Debates. You can follow any responses to this entry through the RSS 2.0 feed. You can leave a response, or trackback from your own site. While the Minister of Education is playing the blame game between the Ministry and the bureaucracy to cut costs, who made the ultimate decision is still unknown. Nevertheless, no matter who decided, no one is taking accountability. One must wonder if this is a distraction tactic that shifts public attention to further derail the process. If our children are educated beginning at an early age regarding the truth of the government’s role in the assimilation and colonization then, it could decrease the perpetuation of the common stereotyping, racism and propaganda of Indigenous peoples. This might provide them with more outside communal support which could further empower these communities to regain control of their self -governing agenda. The government would not want to empower a group of individuals that do not have the same neo-liberal agenda as this can threaten their control over the status quo.